At the City of Aspen and Pitkin County, we deal with a lot of documents related to 15,500 land parcels and 8,400 property addresses. 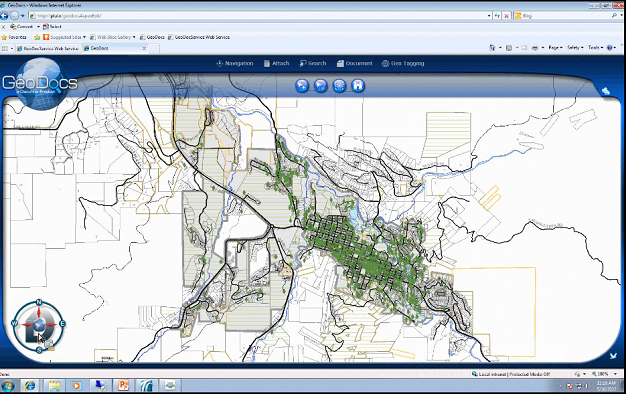 Here is how we have used DocuNav’s GeoDoc Laserfiche and ESRI ArcGIS integration to simplify finding critical documents and pictures about land parcels and addresses within the city and county. 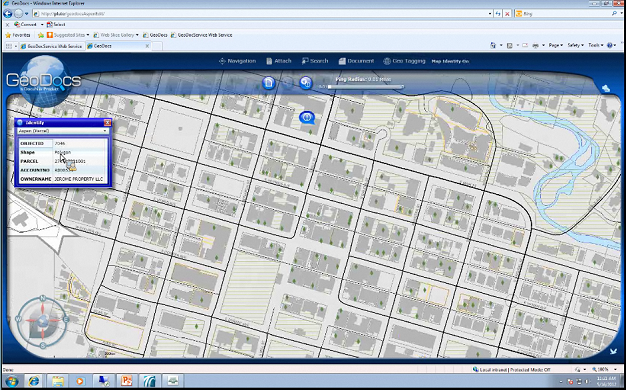 The first thing you see when you open the GeoDoc URL in a Web browser is an overall base map interface. Parcel layer, which displays all parcels of land. Address layer, which displays all address locations. Retired parcel layer, which displays all information about old land parcels. You can use the Layer tool located in the upper right corner of the map to control layer visibility. You can search for an address on the map using this menu. After specifying the address and clicking on the “Find Address” button, the requested property is located and clearly marked. You can also perform a search of the Laserfiche repository. After selecting the “Search Laserfiche” option, a window similar in look and feel to a Laserfiche template opens. 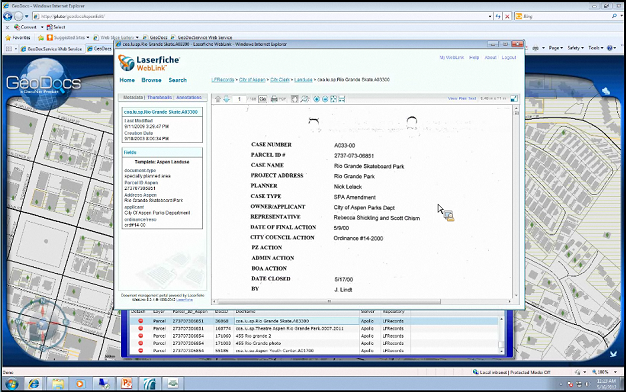 You can search on any of the fields just like you would with a “Field and Templates” search in the Laserfiche Client. In this menu, you can easily upload a document from the network, hard drive, or Laserfiche repository, and attach it to a particular location—either an address or a parcel. Select a parcel or address on the map, browse to the document you wish to attach, and when prompted, assign it the correct Laserfiche template. 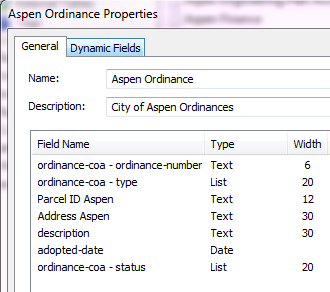 The metadata (Parcel ID and location address) should be automatically populated from the ESRI ArcGIS database. 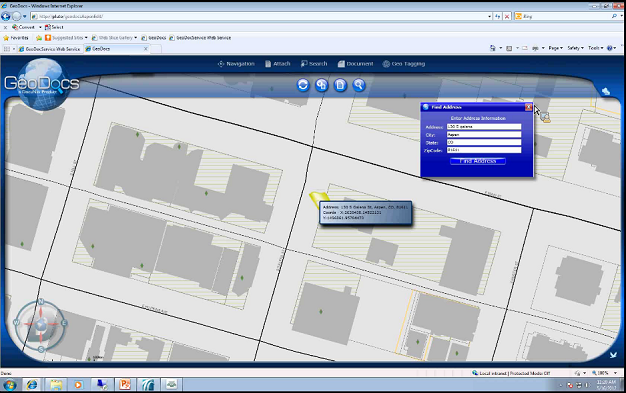 This document is not only attached to the correct parcel or address within the GIS system, but also stored in the “Geodocs” folder in Laserfiche. Attaching documents through the Attach menu is a great option when you have a document and know the property location, but are unfamiliar with the Parcel ID. 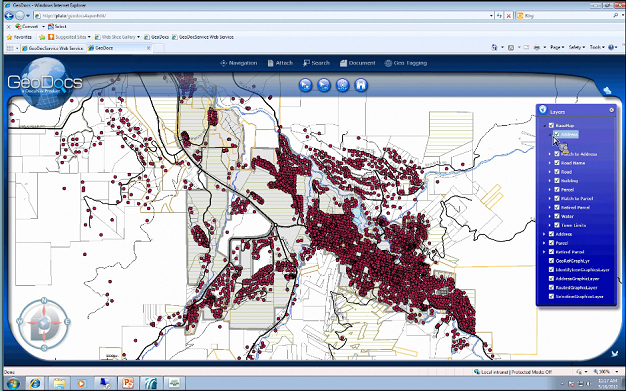 This is where you can search for Laserfiche documents related to a specific map location. 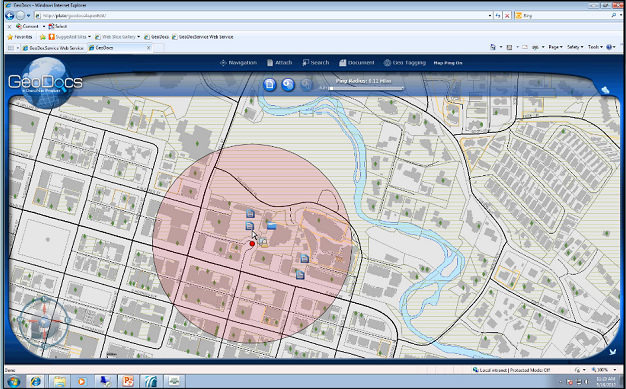 Simply select an area on the map and all of the documents associated with the selected region are returned. 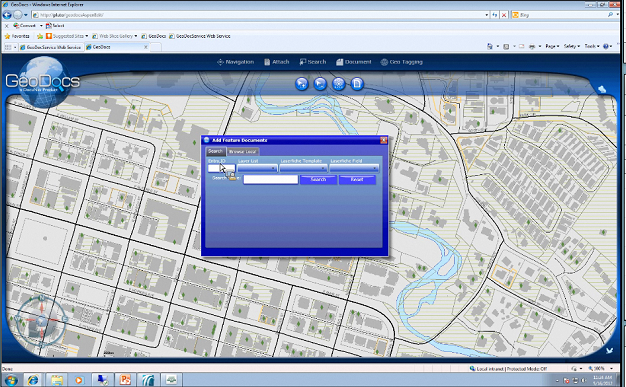 The search results appear in a new window which has different tabs indicating the three different GIS layers (Address, Parcel and Retired Parcel). 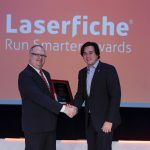 Select the layer that pertains to you and double-click on one of the list items to open the document within Laserfiche WebLink. This menu toggles on and off the Document Search Results pane. 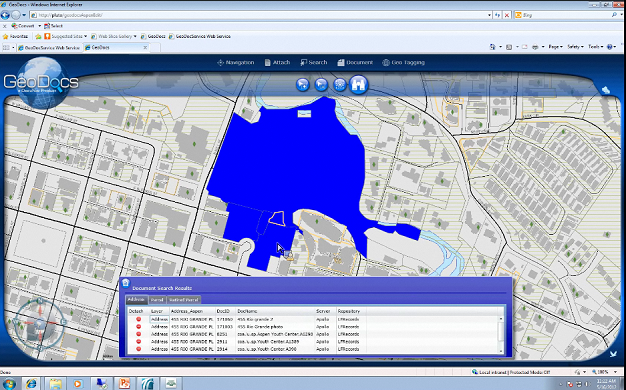 In this menu, you can view all of the documents that have been attached using the Attach menu according to a specified distance from a map location. 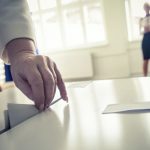 Double-clicking on a document opens it in Laserfiche WebLink. 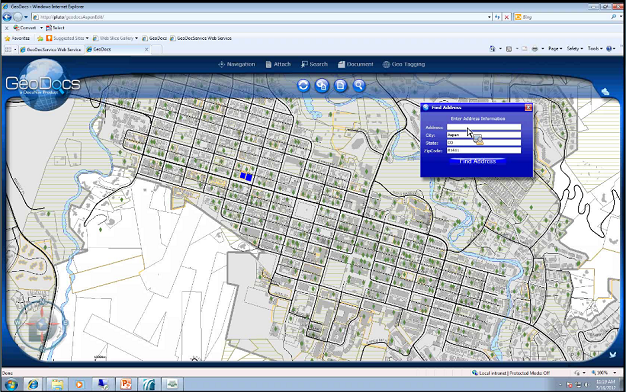 This menu also has a Map Identify feature which displays the GIS attributes, such as the parcel owner, Parcel ID and address of the selected map location. Every document has both of those parameters as part of the associated Laserfiche template. They are entered manually during document capture. In order to reduce manual data entry errors, each Scanning Clerk is provided with a standard format to use when entering addresses. 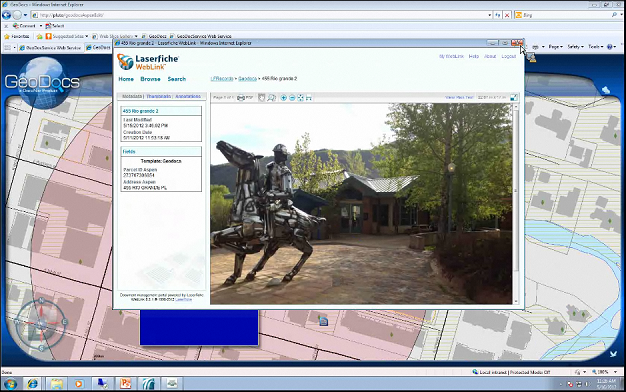 Integrating Laserfiche with ESRI ArcGIS Server using GeoDoc has enhanced how various county and city departments, such as the Assessor, Community Development and Engineering, find building permits, planning and land-use documents and ordinances related to various geographic locations within the city of Aspen and Pitkin County.